Jack was born in 1931 in Lafayette, Indiana, and received his PhD from Duke University in 1956. He was at the University of Michigan in 1965 and joined the Department of History in the Krieger School of Arts and Sciences in 1966. Greene spent most his career as Andrew W. Mellon Professor in the Humanities at Johns Hopkins University’s history department. In 1990-92, he was a Professor at the University of California, Irvine, and he has been a visiting professor at the College of William and Mary, Oxford University, the Hebrew University of Jerusalem, the Ecole des Haute Etudes en Science Sociale, University of Richmond, Michigan State University, and the Freie Universitat de Berlin, and has held fellowship from the John Simon Guggenheim Foundation, the Institute for Advanced Study, the Woodrow Wilson International Center for Scholars, the Center for Advanced Study in the Behavioral Sciences, the National Humanities Center, and the Andrew W. Mellon Foundation, among others. He received his first fellowship award at the National Humanities center during 1987-1988. During his career, Greene, whose focus is early American history, published 16 books and trained more than 75 graduate students. He was honored in 2000 with a three-day scholarly conference of former students from his more than 35 years at Hopkins. Greene retired in 2005 and is currently an Invited Research Scholar at the John Carter Brown Library and became the 'Andrew W. Mellon' Professor Emeritus in the Humanities in the Department of History at Johns Hopkins University. In May 2009 he was once again honored by National Humanities Center and selected as one of 33 fellows for the 2009-2010 academic year. Greene's project st this time was titled The British Debate on American Colonial Resistance, 1760-1783. He is credited with being one of the seminal figures in the field of Atlantic history, the study of the continents and islands surrounding the Atlantic basin during the early modern period and the demographic, economic, and political exchanges among them, exchanges that resulted in the formation of new societies in the Americas, the emergence of Europe as a transoceanic imperial center, the development of the transatlantic slave trade, and the colonization of parts of Africa. 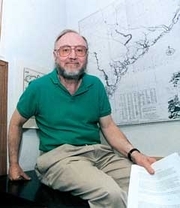 Jack P. Greene is currently considered a "single author." If one or more works are by a distinct, homonymous authors, go ahead and split the author. Jack P. Greene is composed of 4 names. You can examine and separate out names.